Set of 3 wooden hearts. Decoration wooden mushrooms. Design by Very Wood. We propose you them in 7 sizes at your choice ! Clic here. Impressing giant grizzly bear. We propose you 2 sizes. Beautiful bear head, trophy bear, in wood. Great pine cone in raw wood. 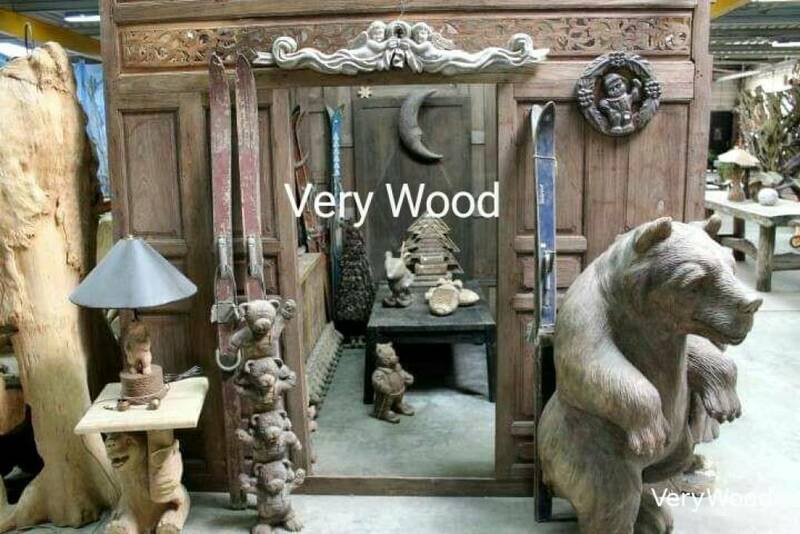 Series of charming wooden raw bears. Swarm teddy family. 2 sizes in the choice. Very beautiful teddy skier in wood. Here is an original idea for your Christmas decoration ! Snowflake in wood, making in 3 diameters. Christmas decoration, decor of the mountain.